Most mea­sures aimed at infor­ma­tion supe­ri­or­i­ty and bat­tle­field trans­paren­cy are space based with a very heavy depen­dence on satel­lites. War fight­ing capa­bil­i­ty to win with­in an accept­able time frame would demand bat­tle­field tem­po and simul­tane­ity in actions. The for­mer can be achieved by effec­tive­ly exploit­ing sit­u­a­tion­al aware­ness to enable bet­ter and faster deci­sion-action rel­a­tive to that of our ene­mies. The aim here is to get inside the enemy’s deci­sion-action cycle by exploit­ing infor­ma­tion and act­ing upon it before the ene­my has time to react. Simul­tane­ity implies the abil­i­ty to address the ene­my all across the bat­tle space, simul­ta­ne­ous­ly. The aim is to over­load the enemy’s com­mand set up, deny­ing him the abil­i­ty to con­cen­trate on one prob­lem at a time, or even estab­lish pri­or­i­ties between prob­lems. This would require improved col­lab­o­ra­tive plan­ning between com­po­nents and lev­els of com­mand and bet­ter exe­cu­tion of coor­di­nat­ed action through­out the bat­tle space. The enabling tech­nol­o­gy is digi­ti­sa­tion of com­mand sys­tems, weapon plat­forms and struc­tures. Mil­i­tary satel­lites are crit­i­cal to the above oper­a­tions. Sit­u­a­tion­al or bat­tle­space aware­ness is a sine qua non of the mod­ern bat­tle­field which is char­ac­terised by hith­er­to unimag­in­able lev­els of trans­paren­cy. This has to be a major thrust area and must include both the satel­lites and the ter­res­tri­al infra­struc­ture of launch sites, track­ing, teleme­try and con­trol (TT&C) facil­i­ties and the data links that bind the sys­tem togeth­er. India has a very high degree of core com­pe­ten­cy in the space sec­tor. The ISR archi­tec­ture will entail the use of Air­borne Warn­ing and Con­trol Sys­tem (AWACS), Geo-syn­chro­nous Earth Orbit (GEO) satel­lites, Low Earth Orbit (LEO) satel­lites, Unmanned Aer­i­al Vehi­cles (UAVs), Unmanned Com­bat Air Vehi­cles (UCAVs) and Micro Air Vehi­cles (MAVs). Mil­i­tary capa­bil­i­ty to pro­tect the nation’s core val­ues and inter­ests is essen­tial to pre­vent sub­ju­ga­tion and pre­serve own free­dom of action. Defence thinkers con­tin­ue to search for the one sin­gu­lar elixir that will deliv­er oper­a­tional suc­cess. While tech­nol­o­gy has thrown up many tan­ta­lis­ing pos­si­bil­i­ties and has offered us the poten­tial to change the way we choose to fight, the sil­ver bul­let which can deliv­er all-encom­pass­ing suc­cess is as elu­sive now as it was in the years gone by. Nei­ther today’s con­flicts nor the wars of tomor­row will have a clear­ly defin­able, two-dimen­sion­al bat­tle­field. This has giv­en way to bat­tle space. In the Indi­an con­text, it encom­pass­es our land­mass and island ter­ri­to­ries, the high seas, ocean depths, air­space, space, cyber­space and the elec­tro-mag­net­ic spec­trum. It also includes the minds of our lead­er­ship and the pop­u­la­tion of the coun­try. The spec­trum of con­flict can­not be per­ceived in terms of a neat eas­i­ly com­pre­hend­ed lin­ear esca­la­tor – with peace at one end and war at the oth­er. It will remain a con­tin­u­um with­in which lie a range of mil­i­tary and non-mil­i­tary con­flict pre­ven­tion, con­flict and post con­flict activ­i­ties. The dis­tinc­tion between these is blurred. ‘It is only the enlight­ened ruler and the wise gen­er­al who will use the high­est intel­li­gence of the army for pur­pos­es of spy­ing and there­by they achieve great results. Spies are a most impor­tant ele­ment in war, because upon them depends an army’s abil­i­ty to move’1. In Sun Tzu’s time, two and a half thou­sand years ago, depen­dence was sole­ly on human intel­li­gence. Today, tech­nol­o­gy has giv­en us the pow­er to look all across the bat­tle space – a func­tion not pos­si­ble in Sun Tzu’s era. The abil­i­ty to look deep into the enemy’s rear is depen­dant to a large extent on space dom­i­na­tion – and the side which dom­i­nates space will have the edge in future con­flict. Main­tain­ing a high state of oper­a­tional readi­ness at all times. Time­ly warn­ings of ene­my build-up in our areas of con­cern. The abil­i­ty to engage hos­tile forces all across the com­bat zone. Dom­i­na­tion of space would be essen­tial to achieve the above. This implies the abil­i­ty to con­trol the use of space, at times and places of one’s own choos­ing, while deny­ing an oppo­nent the same abil­i­ty. This then has to be a major thrust area and must include both the satel­lites and the ter­res­tri­al infra­struc­ture of launch sites, track­ing, teleme­try, and con­trol (TT and C) facil­i­ties and the data links that bind the sys­tem togeth­er. Own sys­tems need to be pro­tect­ed while capa­bil­i­ty to destroy ene­my sys­tems must be devel­oped. India has a very high degree of core com­pe­ten­cy in the space sec­tor. This needs to be dove­tailed into a defen­sive frame­work. 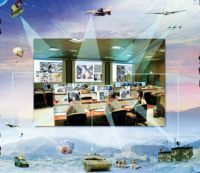 For effec­tive and time­ly force gen­er­a­tion and bat­tle­field dom­i­na­tion, the force must have real-time ISR (Intel­li­gence, Sur­veil­lance and Recon­nais­sance) capa­bil­i­ty. In the oper­a­tional / tac­ti­cal sense, ISR, via aer­i­al / ground plat­forms and sen­sors, means the inte­gra­tion of ISR sys­tems to per­mit com­man­ders to com­pre­hend the bat­tle­field in real-time. This would per­mit reduced force gen­er­a­tion time tac­ti­cal­ly as also main­tain the bat­tle­field tem­po. Tech­nol­o­gy of course can­not be a stand-alone sys­tem and would have to be sup­ple­ment­ed by Human Intel­li­gence (HUMINT). But an aggres­sive peace­time ISR would enable both mon­i­tor­ing of the war pre­pared­ness of the adver­sary and his intent. ISR in the mod­ern bat­tle­field can­not be devot­ed to ‘one run over the tar­get area’ sur­veil­lance. It has to be con­tin­u­ous and on line. Thus, the ISR archi­tec­ture will entail the use of Air­borne Warn­ing and Con­trol Sys­tem (AWACS), Geo-syn­chro­nous Earth Orbit (GEO) satel­lites, Low Earth Orbit (LEO) satel­lites, Unmanned Aer­i­al Vehi­cles (UAVs), Unmanned Com­bat Air Vehi­cle (UCAVs) and Micro Air Vehi­cles (MAVs). 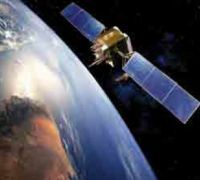 Mid­dle Earth Orbit (MEO) satel­lites have a large ‘dead time’ (the time over the ocean) and hence are not suit­able for sup­port­ing land oper­a­tions. GEO satel­lites, with large cov­er­age, would sup­port ISR require­ments of a strate­gic nature, while LEO satel­lites would play an effec­tive role in the com­mand and con­trol of inter­ac­tive sys­tems in the bat­tle­field since it has a low ‘laten­cy’ sig­na­ture (time delay for a sig­nal from earth to the satel­lite and back). How­ev­er, owing to their low orbit, a large num­ber of such satel­lites would be required. This would derive pos­i­tive advan­tage, as it would also cater to off­set dis­rup­tion in the event of a nuclear blast in space aimed at dis­abling the satel­lite com­mu­ni­ca­tion and allied sys­tems. The use of UAVs and UCAVs are going to be major bat­tle win­ning fac­tors in the years ahead. Their util­i­ty has been val­i­dat­ed in some of the recent con­flicts across the globe, such as the Gulf war where over 330 mis­sions of the Israeli Pio­neer UAVs were flown. The con­flict in Bosnia too, has val­i­dat­ed the con­cept and employ­ment of UAVs. Over the last few years, the RQ-1 Preda­tor drone has become the pri­ma­ry UCAV for offen­sive oper­a­tions by the Unit­ed States Air Force and Cen­tral Intel­li­gence Agency in Afghanistan and the Fed­er­al­ly Admin­is­tered Trib­al Areas (FATA) of Pak­istan. Its util­i­ty rein­forces the belief that UCAVs would soon become a ubiq­ui­tous part of the future bat­tle­field. Over the Tibetan plateau, the nature and vast­ness of ter­rain again places a very heavy pre­mi­um on air assets. Con­trol over the air would be an essen­tial pre­req­ui­site for suc­cess­ful con­duct of ground oper­a­tions. Air capa­bil­i­ty to hit at tar­gets at depth would neces­si­tate hav­ing a strong and capa­ble air force, supe­ri­or to that of our poten­tial adver­sary. Inabil­i­ty to defend our air­space may lead to unac­cept­able con­se­quences in the ground bat­tle. Thrust on force mod­erni­sa­tion must fac­tor the real­i­ty of future con­flict where­in space dom­i­nance will be an essen­tial com­po­nent of war fight­ing strat­e­gy. The major con­cern for India remains Chi­na, which will con­tin­ue to be India’s long term strate­gic chal­lenge. Mil­i­tary capa­bil­i­ties to address Chi­na would ipso fac­to be ade­quate to negate hos­tile designs by oth­er coun­tries on India’s periph­ery. Chi­nese capa­bil­i­ties in the field of infor­ma­tion war­fare, cyber war­fare and inte­grat­ed net­work elec­tron­ic war­fare are well devel­oped and need to be coun­tered. The thrust of mod­ernising India’s Armed Forces must increas­ing­ly start look­ing towards space based assets. Besides bud­getary allo­ca­tion for space dom­i­na­tion, we would also need to review our organ­i­sa­tions and war fight­ing doc­trines accord­ing­ly. The writer is the Addi­tion­al Direc­tor, Cen­tre for Land War­fare Stud­ies (CLAWS), New Del­hi, India. 1. Sun Tzu: The Art of War; Edit­ed by James Clavell, Dell Pub­lish­ing, New York, 1988; p 82.